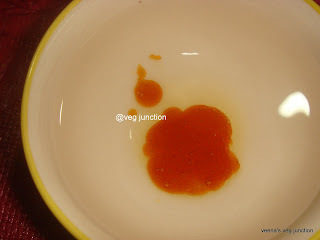 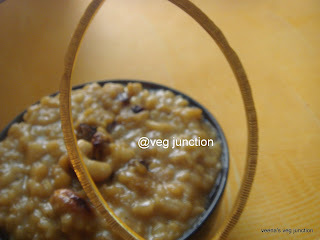 I finally joined the blogging marathon started by srivalli. I always wanted to blog regularly but just needed a little push i guess:-) To start off the marathon i wanted to blog about a sweet dish and when i was blog hopping ,I saw this recipe in Priya's blog and could not stop from trying it out. Her recipes always comes out perfectly. 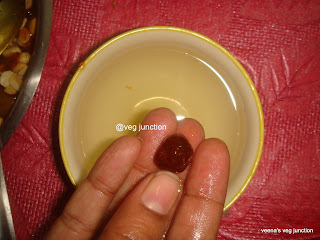 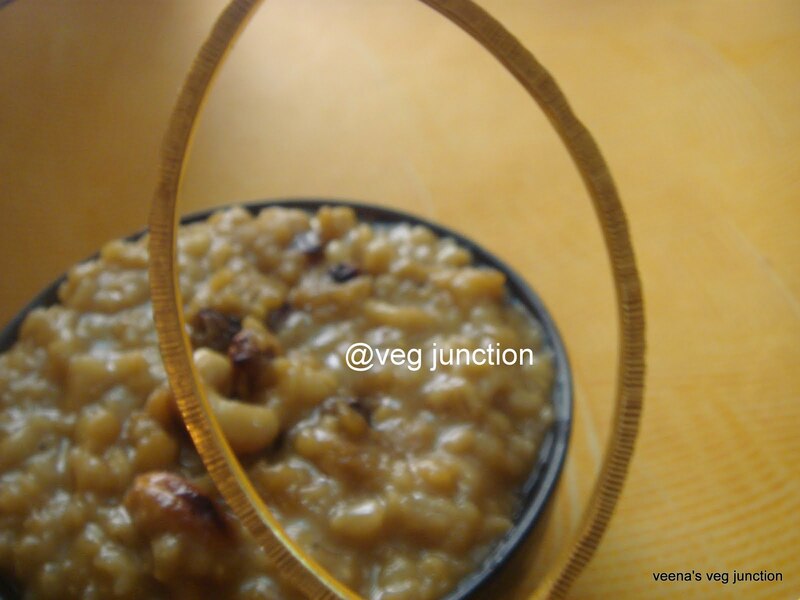 And since it was sweet pongal (pongal festival is nearing) , i had all the more reason to try this out and i must say that "one of the best sweet pongal that i have tried so far". 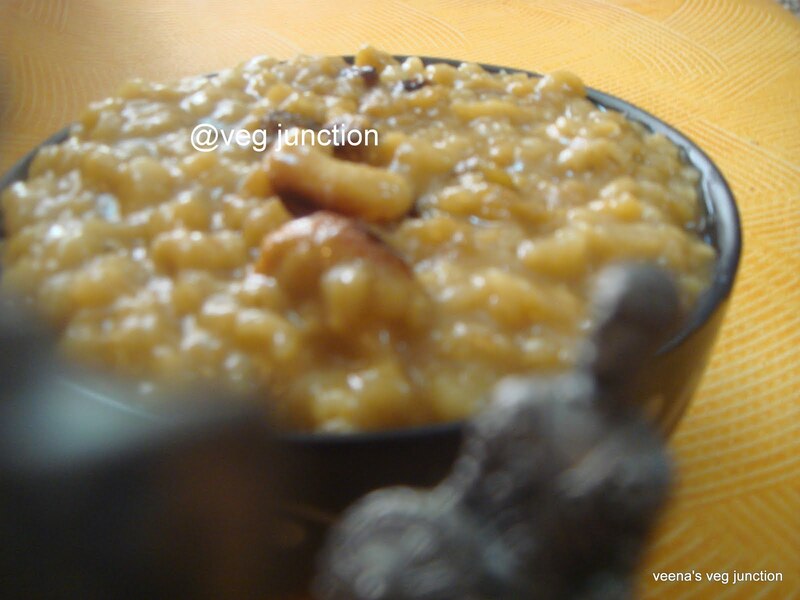 I tweaked the recipe a little by omitting the condensed milk and replacing it with jaggery.Today happens to be Koodaravalli and this is the perfect offering to the lord. 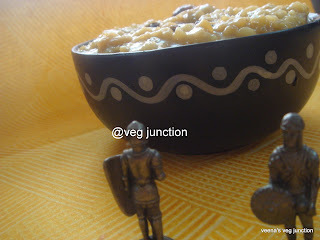 Now sprinkle the cardamom powder and mix well. 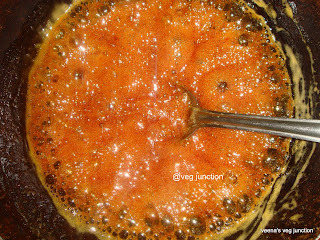 Add the ghee, mix and take it out from the fire. 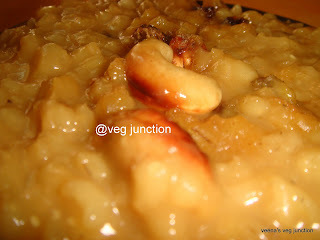 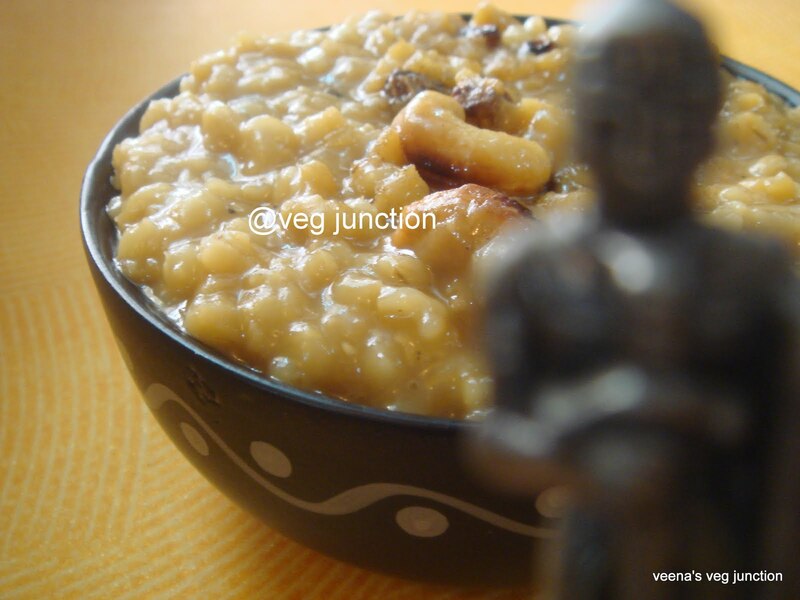 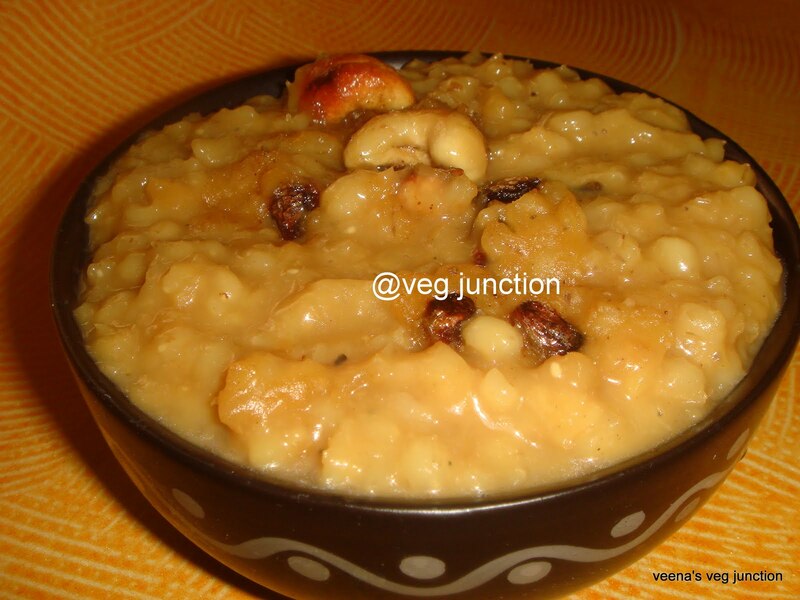 Yummy sweet pongal is ready to cater to our sweet tooth.